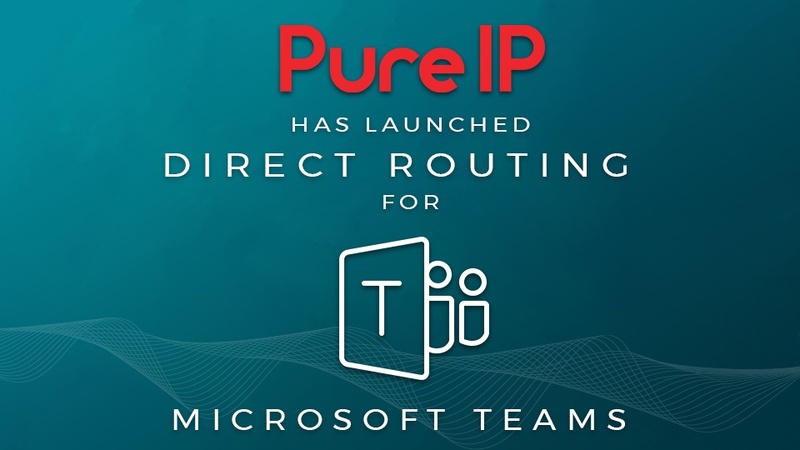 Pure IP has launched direct routing for the highly-anticipated Microsoft Teams. Our engineers have designed a solution that seamlessly integrates with Teams to offer an effortless voice communications solution -- whether you are currently using Skype for Business on premise/Cloud Connector Edition, or are migrating directly to Teams. Earlier in the week, Microsoft announced the general preview of Teams, which will support direct routing using third-party SIP trunk providers, such as Pure IP. We are proud to offer one of the industry’s largest next gen voice communications global network with PSTN replacement services in 30+ countries. Our engineering department has been working diligently to be at the forefront of Teams integration in order to provide a secure and easily-­deployable voice solution. Having provided products and support for Microsoft Lync, as well as Skype for Business on premise and Cloud Connector Edition, our team has the technical expertise and equipment to quickly and easily migrate your organization to the Teams platform to get the most out of your Microsoft licensing investment. Additionally, Pure IP is proud to be a Microsoft Voice Partner since 2010. Our organization has invested a significant amount of time and resources into the Microsoft-certified Session Border Controllers (SBCs), including Ribbon and AudioCodes, to provide an encrypted, dedicated connection into Office 365, including fail-over to geo-redundant secondary SBCs. 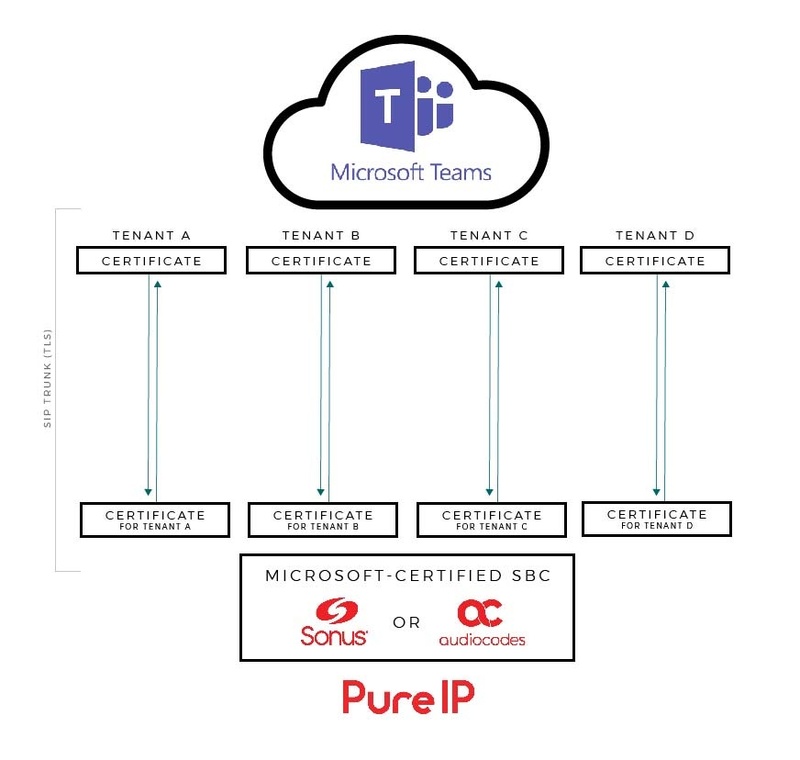 Our Microsoft Teams SIP trunk solution allows for multiple connections for individual customer tenants into Office 365, as illustrated in the diagram below. About Pure IP: Pure IP provides unified voice communications solutions tailored to keep corporations connected to their regional and international offices via the industry’s largest global network. With coverage in 80+ countries and 600 clients served globally, our engineers are experts in consolidating disparate international sites, reducing complexity, streamlining services, and simplifying telecom infrastructure.